Organic Tulsi Tea Blend with Mint. I am the air and ether. Whether it's a sweltering day outside or you just need a little breather, I will soothe you from the inside out. Try me on ice for a refreshing drink. 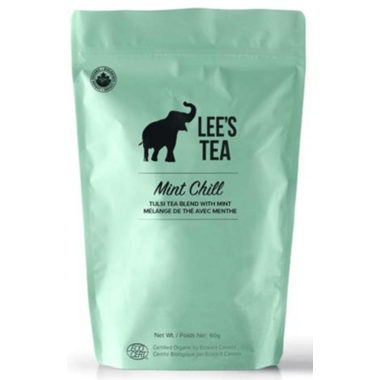 I was expecting a tea that had more of a minty taste to it, but I'm still giving this product five stars because it does exactly what it says: chill. This tea is a perfect accompaniment to a hot summer day, or a relaxing evening, and tastes wonderful when brewed hot and then chilled.